For those with diabetes, there is new hope for those suffering from diabetes and diabetes complications with Nrf2 activation. Diabetes is the leading cause of end-stage renal disease (chronic kidney disease) and top diabetes organizations and Diabetes Research institutions like the American Diabetes Association and Experimental Diabetes Research recognize the importance of Nrf2 Activation therapy for diabetic nephropathy 1,3. Current therapies aiming to lower blood glucose do not block renal damage or the progression of nephropathy. Recent studies establish the critical role of Nrf2 activation to protect organs from hyperglycemia-induced oxidative stress and mitochondrial damage, as well as, to prevent or slow the progression of diabetic nephropathy and other diabetic complications 5,6,8. Studies show that dietary, natural compounds targeting Nrf2 activation are inherently low in toxicity, causing less stress on cleansing organs, and can be used therapeutically to reduce metabolic disorder and relieve renal damage induced by diabetes 8. Kidney failure is the condition where the kidney fails to rid the body of wastes and is the final stage of chronic kidney disease, or nephropathy 4. Renal failure impacts both type 1 and type 2 diabetes patients, but most prevalent in those with type 2 diabetes. Diabetes is now the most common cause of end-stage renal failure requiring dialysis in the United States, accounting for almost 40% of all new dialysis patients 7. Survival of patients with renal failure caused by diabetes is much worse than that of patients with renal failure resulting from other causes 7. Each year more than 100,000 people in the United States is diagnosed with kidney failure, of which 44% of these cases are caused by diabetes 4. 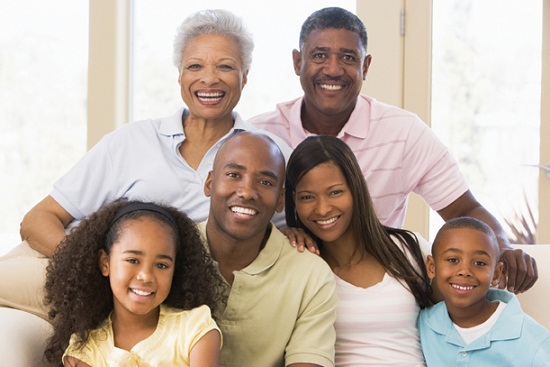 Nearly 24 million people in the United States have diabetes, and nearly 180,000 people are living with kidney failure as a result of diabetes 4. There is only a 5-year survival of only 5% among patients with type II diabetes undergoing dialysis 7. Diabetic nephropathy refers to a characteristic set of structural and functional kidney abnormalities that occur in patients with diabetes 7. The progression of kidney disease in diabetic patients is consistent. The first stage begins with renal hypertrophy of the kidney (organ and cell enlargement) and membrane thickening. Late stage of the diseased kidney is accumulated extracellular matrix (ECM) proteins surrounding the cells, hardening of the glomerulus in the kidney (the area of the kidney that filters urine from blood), and renal fibrosis (scarring) due to injury 4,7. Traditional treatments to prevent or slow the progression of kidney disease has been through blood pressure medication, low-protein diets, and intensive management of blood glucose (sugar) 4. Despite intervention attempts, most diabetic patients experience a progressive decline in kidney function that ultimately leads to overt kidney failure. Once the kidney has failed the only options for patients is kidney dialysis or transplant 4. However, studies show hope for many facing diabetes nephropathy through dietary Nrf2 activation. But, the most advantageous outcomes from diabetic complications come from early Nrf2 supplementation. Essentially, once a person learns they have diabetes they should immediately start dietary Nrf2 activation therapy. It is well understood that renal fibrosis, or kidney scarring, and inflammation accompany all diabetic chronic renal disease and is the direct result of the kidney’s limited capacity to regenerate after injury 2. Injury and damage to the kidney is the result of damage to vessels from high glucose-induced and mitochondrial damage-induced oxidative stress 3. Hyperglycemia, or a high blood sugar environment in the body, is the primary factor that underlies the initiation of diabetic nephropathy 6,7. Hyperglycemia stimulates production of transforming growth factor beta 1, TGF-β1 6,7. The TGF-β1 pathway has powerful fibrogenic actions and plays a key role in the structural and functional abnormalities of diabetic nephropathy, ultimately leading to renal failure 7. Recent research shows there to be an inverse relationship between the Nrf2 pathway and the TGF-β1 Pathway. TGF-β1 is central to the profibrotic switch, activating mesangial cell hypertrophy and accumulation of extracellular matrix production and is up-regulated in diabetic nephropathy 7. 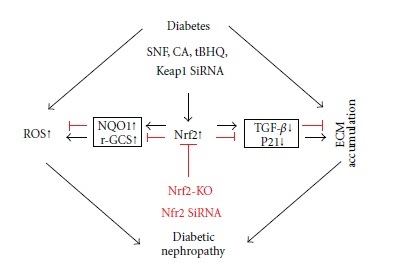 The protection by Nrf2 activation from diabetic nephropathy. Nrf2 activation increases expression of key antioxidant, anti-inflammatory enzymes while also inhibiting TGF-B1 leading to ECM accumulation. Hyperglycemia stimulates the production of TGF-β1. Increased TGF-β1 expression then reduces the Nrf2 pathway, allowing oxidative stress, inflammation and fibrosis to accelerate. This further accelerates TGF-β1 expression. 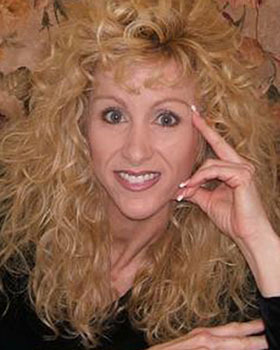 Nrf2, along with its negative regulator, Keap1, is the means by which the body regulates intracellular antioxidants to keep oxidative stress in check, phase II detoxifying enzymes, and many other proteins that detoxify xenobiotics (foreign bodies) and neutralize ROS to promote cell survival and maintain cellular redox homeostasis 6. Reduction of Nrf2 results in increased oxidative stress, inflammation and fibrosis 7. Therefore, those with diabetes have hyperglycemia induced oxidative stress, or more oxidative stress than individuals without diabetes 3,6. In the natural disease state, and without Nrf2 activation, Nrf2 protein expression is upregulated at the onset of disease, indicating that increased Nrf2 is adaptively trying to remain functional to overcome diabetic damage during early stage of diabetes. In late stages of disease progression Nrf2 expression is severely depleted indicating that Nrf2 succumbs to TGF-β1 influence allowing the disease influences of oxidative stress, inflammation and fibrosis to take hold 5,6,8,9. Studies show that Nrf2 activation plays a protective role in diabetic nephropathy and a viable strategy to prevent or slow the progression of diabetic nephropathy 6. Not only does Nrf2 activation improve oxidative damage to the kidney, but also improves organ function and reduces blood glucose 8. Because of their inherent low toxicity and ease of Nrf2 activation dietary Nrf2 activators are preferred over synthetic Nrf2 activators to protect and improve disease progression of diabetes nephropathy 5,6,8,9. When Nrf2 is activated with plant based Nrf2 activators, the function of TGF-β1 is suppressed, decreasing oxidative stress and oxidative damage and slowing the progression of diabetic nephropathy 8. The following table shows the key genes and enzymes that play critical roles in the pathology of diabetes nephropathy and how gene/enzyme expression is influenced after Nrf2 activation by a proprietary formulation from 5 individual Nrf2 dietary plant compounds. TGF-β1 transforming growth factor beta 1 Decrease (158%) Increases protective and preventative role in disease progression 3,5-9. NQO1 NAD(P)H quinone dehydrogenase 1 Increase 677% Detoxification, anti-oxidation and anti-inflammation 6-9. HO1/HMOX1 heme oxygenase Increase 5600% Detoxification, anti-oxidation and anti-inflammation 6-9. GPX3 glutathione peroxidase Increase 200% Important antioxidant enzyme for kidney. Helps avoid premature aging of human fibroblasts responsible for would healing 5,6,7,9. SOD1 superoxide dismutase 1 Increase 176% Protective enzyme. Deficiency accelerates diabetic renal injury 10. CAT catalase Increase 158% Protective enzyme. Deficiency accelerates diabetic renal injury 11,12. Researchers state that activation of Nrf2 before disease development or during the early stage of diabetic nephropathy is the key for intervention to prevent ROS induced damage and diabetic nephropathy progression 6. (2) BioMed Central: Fibrosis in the kidney..
PS: If You Hate Diabetes And Its Complications Click Here! If you enjoyed this post, Nrf2 Activation Therapy For Diabetic Nephropathy, please share and /or comment below!